The first step for any brand, in developing a content marketing program, is to set clear objectives. What are your reasons for creating and distributing content? What’s your vision for success? What are your timeframes and deadlines for achieving your projected marketing and business outcomes? Nurturing customer relationships and increasing brand loyalty. A primary objective, in developing and distributing content, will be to generate audience awareness of your brand, your product, your service, your ideas or your cause. Of course, the greater the number of people who read, view, listen to or otherwise engage with your content, the more widely your brand will be recognised. You’ll extend brand awareness even further if a high percentage of these people like and share your content with others across a variety of channels. Your aim here is to grow your audience in terms of both size and quality. Once you have the ongoing attention of a large audience that includes a significant number of prospective buyers, your chances of generating, qualifying and converting quality leads increases exponentially. It’s one thing for an audience to be aware of your content and your brand. It’s another for it to be actively engaged. Your content should be of such a high quality and of such relevance to target audience needs and interests that individual audience members actively seek it out, read it, view it, like it, comment on it and share it across a range of channels. You can track audience engagement with your content through metrics such as the amount of time audience members spend with specific content items, the number of content pages viewed in each session, and the number of on-page clicks and shares. As you develop an ongoing program of creating or curating quality content, publishing it on your website and promoting it across a range of channels (such as social media and email), you’re likely to see a marked increase in the traffic of visitors to your website. Your content marketing activities should also support any search engine optimisation (SEO) strategies and tactics you have in place. In fact, content marketing should be an essential component of your SEO strategy. Effective SEO requires quality content. Quite simply, the more high-quality, relevant content you have on your website, the higher your website pages will rank in searches on Google. What kind of perception does your brand have in your target market or industry? It goes without saying that your business will thrive if it is perceived as a market leader, and especially if it is considered the thought leader in your market or industry. Your content marketing activities are a key factor in determining how prospective buyers view your brand, your organisation, its products, its services and its expertise. Your objective, in this sense, is for prospective buyers to choose your content first when seeking information that relates to your industry, market or profession. They should trust your brand as a reliable source of clear, interesting, relevant content that easily and comprehensively answers their key questions. This helps you to differentiate your brand from those of your competitors. When your business is considered as a key repository of innovative, objective insights that relate to your area of product or service development and delivery, you have an invaluable competitive edge. In this way, thought leadership can quickly evolve into market leadership. You can gauge your success in becoming a thought leader by assessing the number of times your content is shared across different channels, especially by industry or market influencers. There are few better vehicles for lead generation than content marketing. When you continuously create and disseminate quality content, audience members are likely to trust your brand and will be more willing to exchange their personal details for further premium content. They are also more likely to subscribe to newsletters, participate in polls and request product demonstrations. Once your content has engaged an audience that you understand and that comprises a significant percentage of prospective buyers, you have automatically generated leads who are likely to be amenable to your business’ follow-up in terms of targeted sales activities. Also, when you link your entertaining, relevant content with lead generation forms, your overall volume of leads will increase. Depending on the quality of your content, these leads will be highly qualified in terms of their openness to your sales approaches. As you continue to provide targeted content to qualified leads, they will be increasingly open to learning more about your product or service offerings. Effective content marketing helps your brand to create new customers by giving you access to consumers at the time they are ready to buy. It can also shorten the time it takes for qualified prospective buyers to make a purchase decision. Once your content marketing activities have built a level of trust for your brand in the minds of qualified leads, it’s significantly easier to convince them that your product or service is the best fit for their needs. First-time buyers who have consistently consumed your content are also more likely to purchase larger orders, premium offerings and add-on services. Content marketing can even help to convince one-time buyers to become repeat purchasers. When you have a clear idea of a customer’s purchasing history, you can create more relevant content for that customer (perhaps, for example, in the form of a segmented customer newsletter or podcast). This ongoing, targeted content engagement can enhance the customer’s level of trust in, and loyalty to, your brand. In fact, a customer who happily engages with both your content and your products or services is likely to become an active advocate for your brand, providing invaluable word-of-mouth recommendations to friends, family members and business associates. Nurturing existing customer relationships through content marketing, therefore, can increase customer retention and can contribute to both referrals and ongoing new customer acquisition. At the end of the day, your content marketing objectives need to align, seamlessly, with your organisation’s long-term business objectives. If, for example, your primary business objectives are to achieve a 20 per cent increase in revenue per year over the next three years, with a similar increase in net profit, and to increase market share by 10 per cent per year across both specific demographic and regional criteria, this should inform everything you do in your content marketing program. Your objectives and your analytics criteria must always seamlessly align. 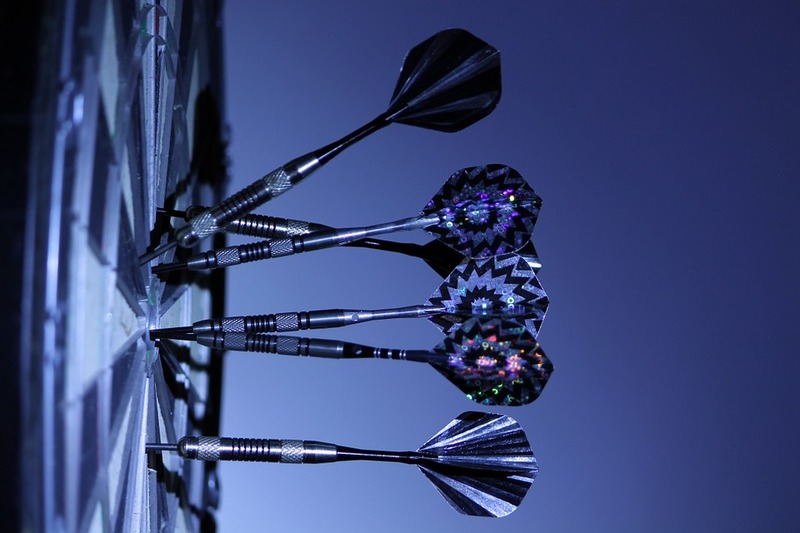 Do you want to find out more about setting clear objectives for your content marketing program? Contact Momentum Connect to see how we can help.